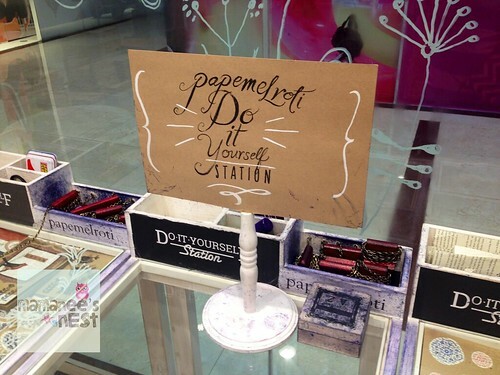 Feature| Decorate your Papemelroti Notebooks & Journals at their DIYStation for Free! 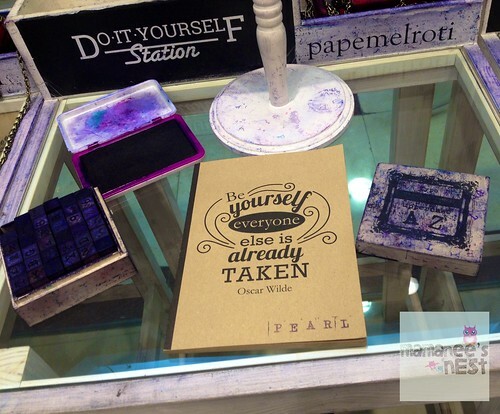 Remember when I visited Papemelroti's main branch and met a true inspiration? 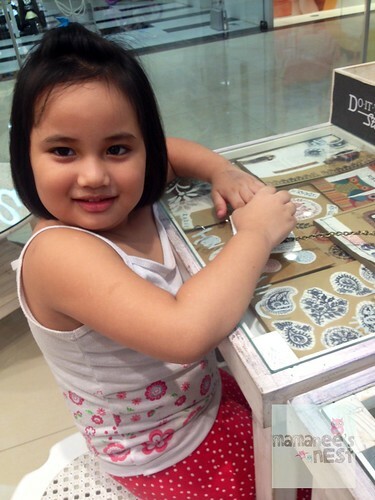 The sales lady behind the counter told me that I should take my princess to their new branch in Gateway Cubao where they have a DIY corner and she could play with stamps there. That's exactly what I did. 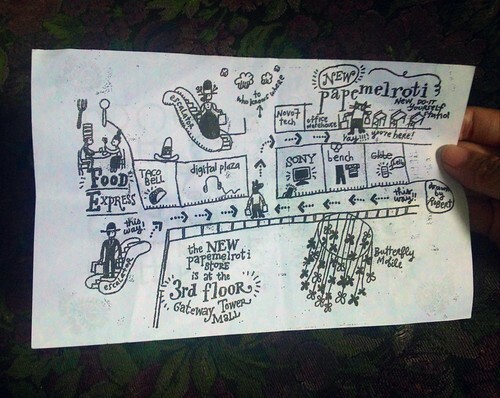 In between our errands of buying rice and groceries we made a side stop to Gateway, at first I dropped by the branch near the LRT entrance and I asked them where to find it and they gladly provided me with this cute map. It is a little hidden but like any hidden paradise - your inner high school girl is shrieking in delight. 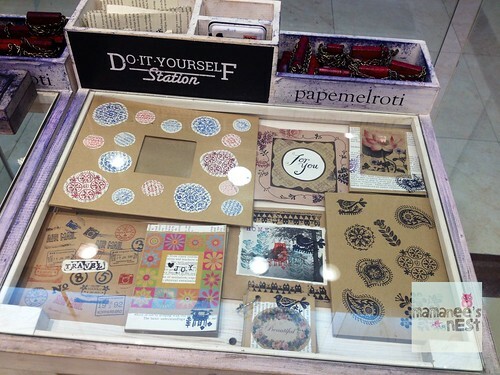 I was told by the sales lady that I may buy any notebook and use their DIY station to decorate it. While I was looking around, I gave my princess a go. She happily used the stamps on the paper that was provided. 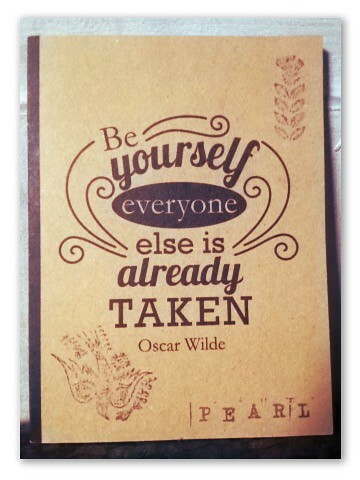 After making my purchase, I gave it a go, unfortunately my migraine wasn't cooperating and I kind of lost my crafty side but I was happy to have personalized the notebook I was to give a colleague of mine for her birthday. 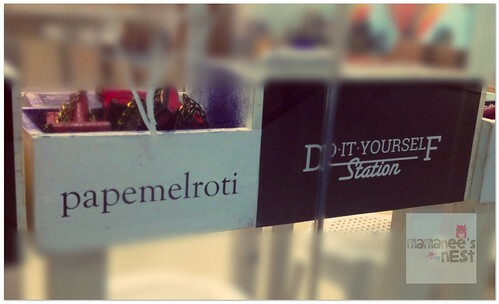 This is my first time to encounter a DIY section in Papemelroti's store and it's a perfect idea for the crafty lady in you. My simple gift for my dear colleague at work. 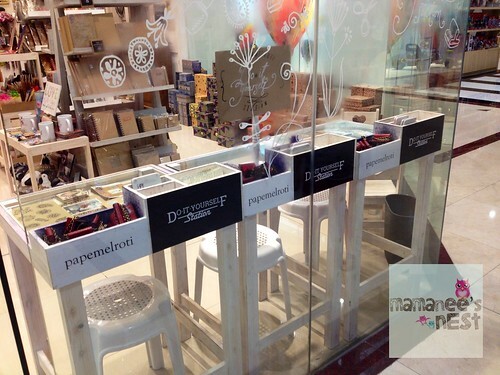 You should drop by, there is a gift for everyone at Papemelroti - and I seriously mean that when I recall what I said to Patricia when we met, "The thing about Papemelroti, is that it grows with each genre and that's why it's so successful." Here's more happy thoughts lasses, Papemelroti will proudly be a part of my birthday give-away! So make sure to follow all of their social accounts on Twitter, Pinterest and Facebook.